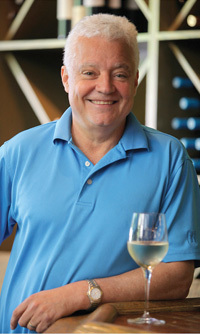 Daryl Groom has been involved in the wine industry in both the USA and Australia for more than 30 years. Currently he is engaged in a number of wine- related projects in both countries. He is the Owner/ Winemaker for Groom Wines in Australia, a very successful ultra premium brand focusing on Shiraz and Sauvignon Blanc. His other great joy is his newest brand Colby Red Wine, a wine initiated and inspired by his son Colby Groom who underwent back to back open heart surgeries. Proceeds from this wine go to charities across the USA that promote heart health (www.colbyred.com). The Groom Family has raised over $900,000 for heart charities including the American Heart Association and The Children's Heart Foundation. Prior to his current ventures, Daryl was Senior Winemaker for Penfolds in Australia where he oversaw the making of Penfolds famed red wine, Grange. 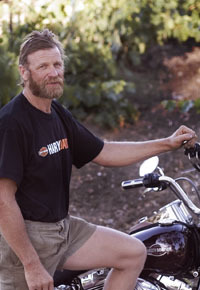 He was the Executive Winemaker for Peak Wines International that owned both Geyser Peak and Wildhorse Wineries (1990-2005) and then Senior VP of Operations and Winemaking for Beam Wine Estates (2006/2007). Daryl's passion for wine sees him judging at 8 international wine shows annually. He has also been a repeat guest on E television and also appeared on the NBC Today Show. He also partners and is Chief Judge at the North Coast Wine Challenge Wine Competetion and is partner with well known Chef Charlie Palmer in the prestigious and highly successful Charlie Palmers Pigs and Pinot. Pigs and Pinot is an annual 2 day event that raises over $150,000 for local and national charities. Lisa started her career in the wine industry as a 17-year-old, working for Penfolds Wines in the Barossa Valley. During her 10 year tenure (which may have been longer, had she not married the winemaker), she involved herself in many facets of the company. She found a love for production control and its integration to sales and marketing. She was actively involved in creating the GROOM package. 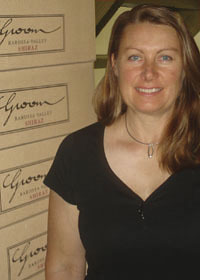 Lisa now manages the importation, sales, marketing and distribution of Groom Wines in the USA. Lisa has an additional passion. 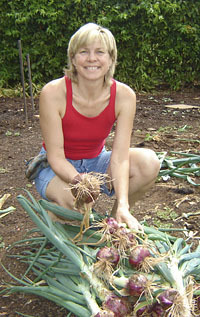 She actively tends a one acre garden full of a huge variety of fresh produce. An additional one acre of fruit trees, along with eight chickens completes the picture. All organic, you name it, she grows it! David had wine and grape juice, not only on his hands, but in his blood - a passion inherited from his grandfather, Ernst Mengler, a wine pioneer establishing his winery in 1899 at the foot of Mengler's Hill in the Barossa Valley. The building still stands today, although now converted to a private residence. David’s ultimate goal, of owning and growing his own grapes was realized by the Marschall Groom venture. Years of experience, training, and of course, the passion provides the foundation for a successful venture. In our vineyard, if vines had individual names, David would have known them all personally! Sadly, David passed away in 2013 from an aggressive brain tumour. David's legacy of many years of hard work, passion and dedication to produce top quality grapes lives on through Groom wines year after year. Jeanette has many years of experience in payroll, real estate and office management. This grounding, along with a keen financial and business sense, has given her a wealth of knowledge in many areas, all of which has helped ensure stable financial practices for Marschall Groom Cellars as we move forward. Jeanette’s spare time away from the financial side of the business is spent managing sales within the Australian market. Aside from all that, she spends time with her 6 kids and gets her hands dirty tending the vines. It is not uncommon to see the entire Marschall family, often along with Grandma and great-Grandma, planting, pruning, tying-on or even picking the grapes!